It's been a really busy week after the long weekend, not much scrapping done yet, but I do want to reply to some of the comments and questions you have left for me. Apologies that I only get to them once in a while! Dear Nikki asked me if I know of any inspirational websites or blogs that might help to make only one or two photos look awesome on a page. Well, Nikki, I've not been around the sites and blogs much lately, but I've always loved Ksharonk's simple stunning pages, her blog is over here, and a more recent I've been loving Liz Tanamaha of Paiseley Press' layouts and designs, she has an elegant and chic style, check her out here. There are some stunning single photo pages out there with lots of embellishments, but i'm not familiar enough to recall the sites where I saw them. But I have been to DST few days ago and found this amazing thread where everyone shared their favorite new kits or designers. Oh my, the stuff I've been missing out! I'm very tempted to do a lot of shopping! Go see it here! By the way, I love it! :) As I expected, the portion near the centre fold is slightly hidden, as you can see, Jared and I were in the centre bottom picture, but only Ryan shows up well. But I am so happy that the bigger picture at the top of the beach still looks 'straight' and not distorted, and the whole double page has the centre fold effect. I just want to highlight this, and remind that in your layout, if you use these double page templates, to be careful to place important photos or faces slightly away from the middle. In fact, the only thing I was disppointed with the printing was that the outer edges got slightly cut off, which I did not expect. Sarah G shared her tips with me recently which I find so good, here's what she does: "I use Elements 5.0 and have been having trouble figuring out the gutter for the two-page layouts when I print my books at Shutterfly. I realize not everyone uses that service, but I just got my 2007 book in (I used a bunch of your templates), and I finally solved my problem. I have a tool that I can use to set my own guide presets. I set them at vertical .125 inches, 11.75 inches, 12.25 inches, and 23.825 inches, horizontal .125 inches and 11.825 inches. I don't put important details from photos or words in the 1/2" gutter in the middle or on the outside edges, and it worked perfectly! Even though details were lost, nothing looked distorted like it did when I just "eyeballed" it. Thanks Sarah! I've been using your idea since you shared it with me with my latest layouts. 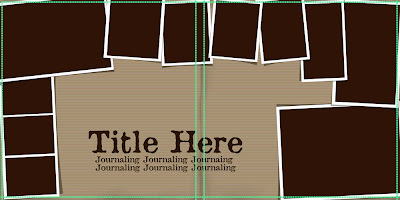 I now realise I have to go back and re-do the journaling on my Ground Zero layout before I send to Shutterfly for printing! Just to illustrate Sarah's method, for template 53 below, avoid important details in the edges and middle as marked. 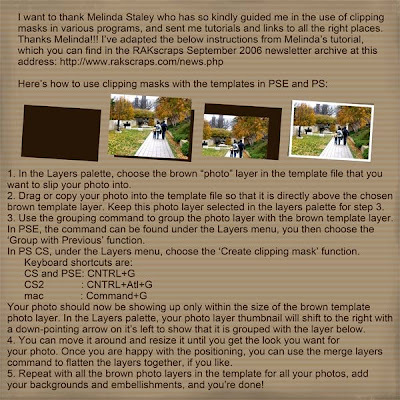 Here's the part of the guide in case you haven't seen it, and Paula B has kindly told me that in PSE 6, you have to simplify the layer before you can "group with previous layer". Thanks Paula! The book looks great! Thanks for the measurements for how much space to keep important details out of on the margins. I do something similar when I print at home, but I'm going to be having a Shutterfly book made as a gift soon, and it's helpful to have the exact measurements for them. Thanks for passing on the dimension guidelines and photo examples. I hadn't entirely considered margins when I created my layouts, so now I can go back and tweak them until they fit. I just love your templates! Thanks for info....very helpful. I do have a question for you though, I've used one of your 12x24templates. How do you separate it for printing? Do you flatten the layers and the crop each half? Thanks for the help and the great templates! Just wanted to stop by and say that I am completely in love with your templates - and your layouts are just gorgeous! Here is a layout I recently did with one of your templates! Thank you so much for your templates, and sharing your beautiful layouts with us too. I've had several books printed with Shutterfly, so I'm pretty familiar with things being cut off. I'm going to try to see if I can find an email address for you so I can send you what I know!! I just placed an order with shutterfly (my fav printing site) and they have downloadable templates that has the lines and trim already set up for you. it works very well and it is much easier! 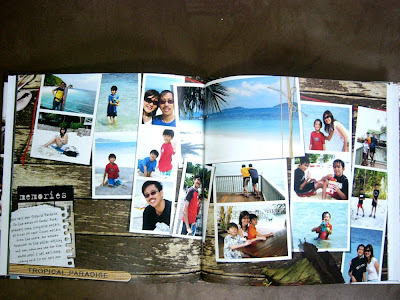 I love your templets and I print my books from adoramapix I love there books and there books dont have a gutter (books open flat)they also print on real photo paper.